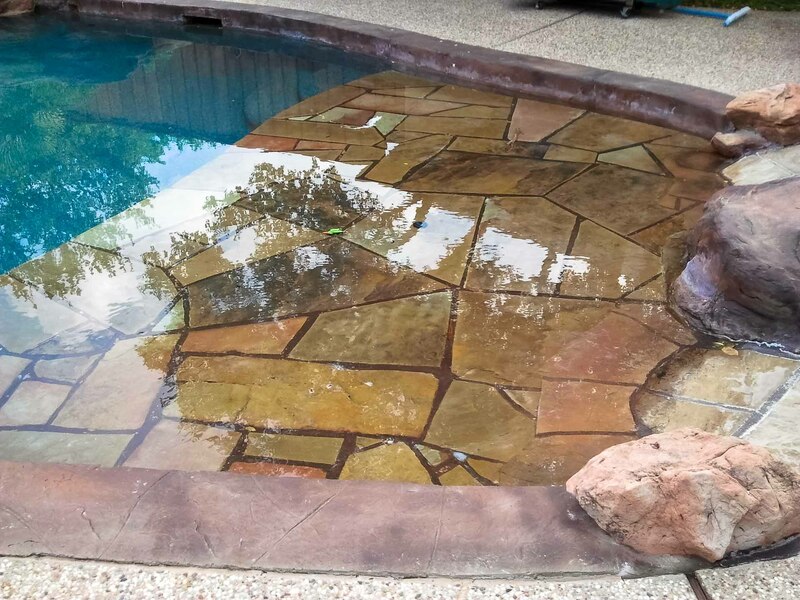 When choosing a pool company to build my pool and outdoor fireplace, I interviewed several before choosing Open Water Pools. The owner, Frank Lanzone, met with me to draw up plans and determine the total cost. I told him what I wanted in a pool and he artistically designed my vision perfectly. He was always very professional, stayed within the budget I wanted, was always on schedule with each phase of construction, and oversaw the entire process from start to finish. Any problems that arose were promptly solved, usually with no added cost. I highly recommend Open Water Pools and will definitely use them again. I knew after about 20 minutes that I was sure glad I hadn’t signed with the other pool company because I could tell Frank knew how to take care of business. We entered into our contract with him and he started and did everything he said he was going to do and built us a beautiful pool that we enjoyed for several years. This home was on one of the busiest streets in Plano, Texas and that’s why we moved. We put the home on the market thinking it may take months to sell and we actually sold it to the very first prospective buyer that day because they fell in love with the pool and back yard. So we moved to our new home in 1994 and contacted Frank again and within a couple of months we had another pool. From 1985 to 1994, we referred Frank to 6 of our friends and business associates and he built pools for all of them, so it was an easy choice to let him do #2. In 2011 we put that home on the market and had a contract by the 3rd day from a family who fell in love with the outdoor area of this home and we had to vacate by the end of the month. So had to rent something and move. We found an unusual lot and I told my wife no way would a pool work on this zero lot line because of the slope of the lot. Once again, we called Frank and he put together a design and came up with a pool that we actually had to build before the home was even started. Got the pool in the ground and then it just had to set for 5 months unfinished while the home is being built. We called Frank once it was time for him to do his finish work and there he was right on time and he finished our pool in time for us to close and move in. When I say zero lot line with a slope, he designed a pool and spa with a built in bar at one end of the pool and still a big enough pool that we had over 50 people in it for July 4th celebration. We have had so many compliments from family and friends. It is perfect and we look forward to enjoying for many years our Pool # 3. 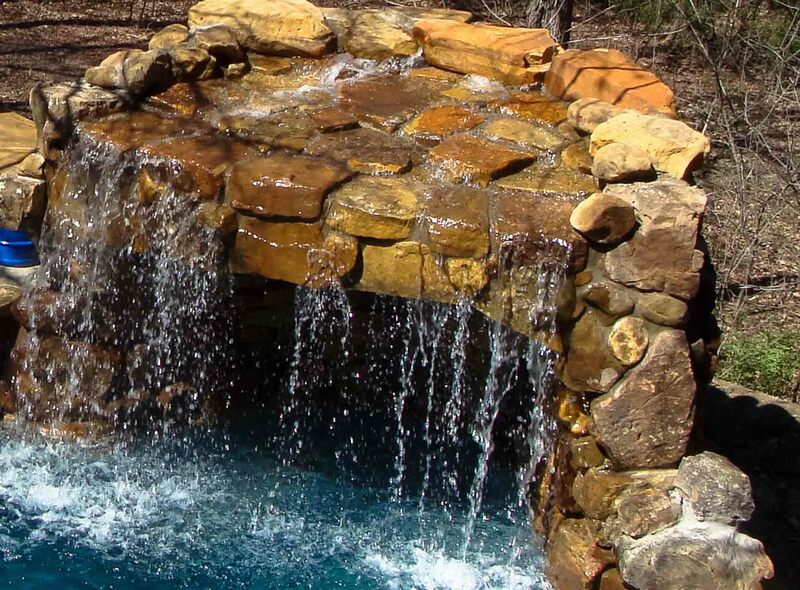 Open Water Pools builds custom pools, infinity pools, and spas in the Austin suburbans. We have been constructing brand new pools for over thirty-seven years. 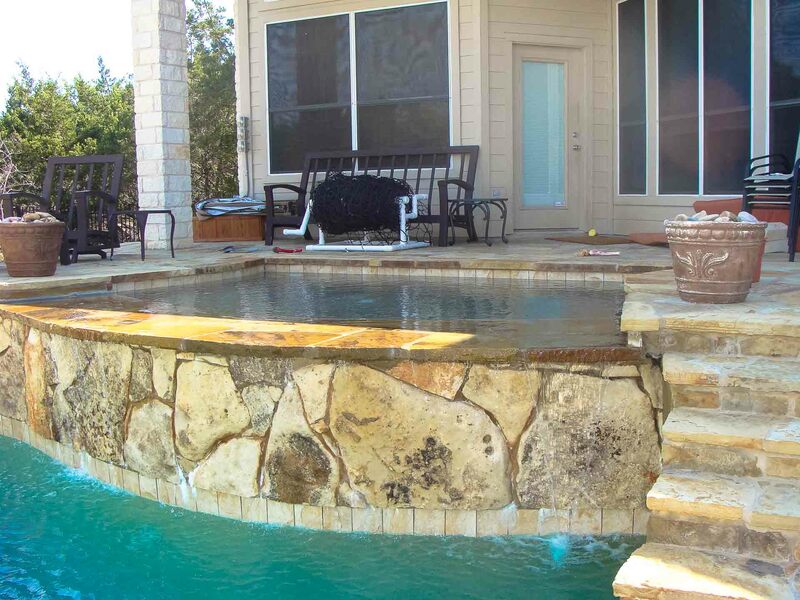 We builds custom pools, infinity pools, and spas in the Austin suburbans. Look at our portfolio and give us a call to see what we can do for you. If you’re not ready to talk to someone just yet, download our top ten pool building tips to get a better idea of what to expect during your pool project. 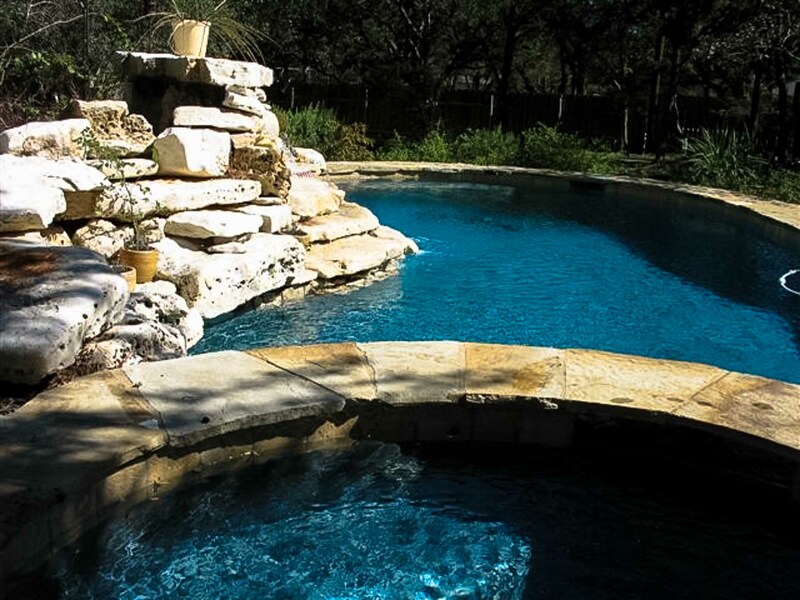 "Without a doubt, Open Water Pools is the #1 pool company in Austin and the surrounding area." "He takes care of business and takes care his customers."